Who was oppressed before he was born. ​Who was pressed from the womb and robbed. Who gleaned the sadness, and roamed. Who was seized to the dark that came down. Who by the sword was slashed, was slain. Who was burned, who perished in fire. Who swaddled in ashes, expired. Who passed right by us, in fright. Who quavered beside us, betrayed. ​Who was embraced to our breast, who survived. "The Song About the Child"
Salman Masalha is a Druze citizen of Israel who writes in Arabic and Hebrew. Works from his many volumes of poetry have been performed to music and recorded by leading Israeli and Palestinian musicians. He has won the Israel’s President’s Prize for Literature. 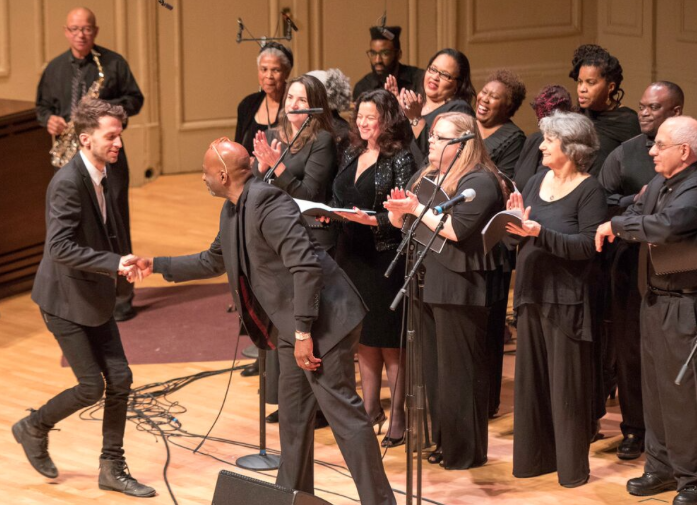 You are listening to Stephen Feigenbaum's 2016 composition, premiered at Boston's Symphony Hall by the Boston Community Gospel Choir under the direction of Brother Dennis Slaughter. 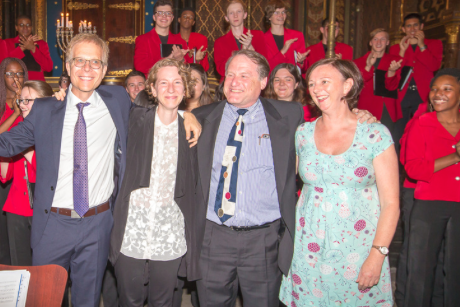 "Writing a piece that suited the chosen poems, the feel of Symphony Hall, and the gospel style of the Boston Community Choir was one of the trickiest musical challenges I've ever taken on. But I think the majesty of each element contributes to something uniquely fitting with TMF's vision and more broadly their message of the vitality of human creation." ​Mr. Feigenbaum is a classically trained musician who works in a variety of genres, especially concert music, musical theater, and pop music. He is winner of two ASCAP Morton Gould Young Composer Awards and the Charles ives Award from the American academy of Arts and Letters. Click below to hear Sivan Eldar's 2015 composition, which received its world premiere at Prague's Spanish Synagogue by the Boston Children's Chorus and its North American premiere at Boston's Symphony Hall. "The story of birth, of loss, and of finding hope . . . a theme that ties all the stanzas together is the discovery of words — from vowels to letters to words to poetry. I decided to echo that process musically — moving from breath to pitched sounds to harmony. The birth of music." Ms. Eldar is winner of awards from the Fulbright Foundation, ASCAP, Hearst Foundation, the European Broadcasting Union,and others. She serves on the theory faculty of the Department of Music at UC Berkeley and on the composition faculty of the John Adams Young Composers Program. Listen here to more music in our Track of the Month Series. Photos by Michael J. Lutch.